The visiting Algerian Minister of Commerce Saeed Gallab said that his country is keen on developing its cooperation relations with Qatar in all fields. Both Qatar and Algeria share the same economic visions in diversification. The Minister was addressing a meeting hosted by Qatar Chamber in honour of the Algerian delegation representing 30 companies specialised in food, beverage and food processing. Qatar Chamber (QC) Chairman Sheikh Khalifa bin Jassim Al Thani, Chairman of Algeria Chamber of Industry and Commerce Mohamed Bin Omar and QC Board Members and businessmen attended the event. The Algerian Minister said the visit demonstrates his country’s keenness on enhancing its cooperation with Qatar. Algeria enjoys distinguished relations with Africa. This helps in creating cooperation opportunities between Qatar and Algeria in Africa, he said. Gallab expressed his hope that both countries’ Chambers would open new cooperation channels and help the private sectors to establish economic and trade alliances and partnerships. Qatar Chamber’s Chairman Sheikh Khalifa said that the brotherly relations between Qatar and Algeria are historic, distinguished and always witnessing significant growth in all economic and trade sectors in light with of the wise leaderships of both countries. The Qatar-Algeria trade exchange stood at QR134m in 2016 and QR163m in 2017, reordering a growth of 22%, he noted. “ This figure doesn’t match the huge potentials available in both counties. We have to study all means that help in increasing trade between our brotherly countries. There are lots of investment and business opportunities in both sides.” Sheikh Khalifa pointed out that there are 115 Qatari-Algerian joint businesses operating in the Qatari market in various sectors. 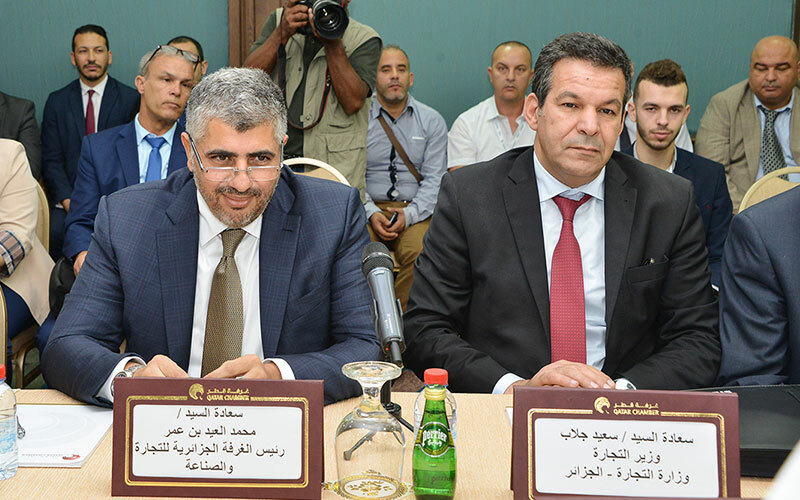 “We are looking forward to increasing these partnerships between the private sectors, especially that there are a host of investment opportunities available in all economic sectors in general and in SMEs in particular.” QC chairman said that Algeria is one of the most attractive investment destinations to Qatari businessmen. 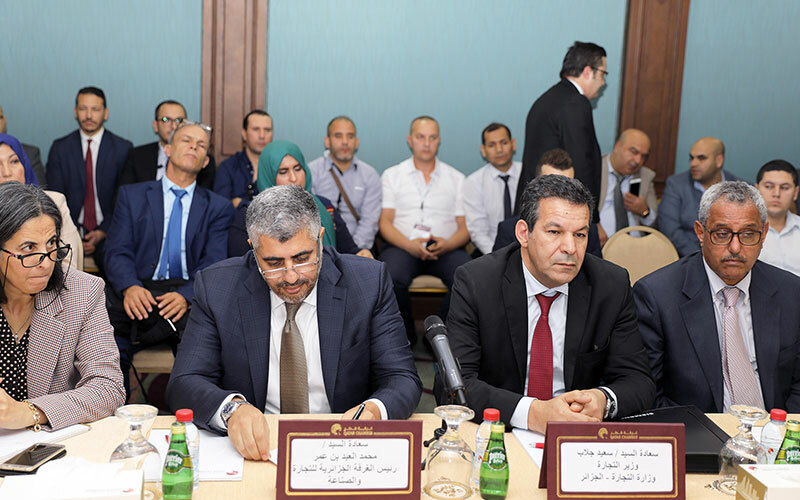 There are many Qatari investments established in Algeria within the past few year such as the Algerian-Qatari Steel Company (Bellara Steel Complex) located northeast of Algiers. The project, which covers an area of about 216 hectares, is the first of the co-operation agreement signed between Qatar and Algeria in 2013. It is a joint venture between Qatar International Steel Company 49% and Algeria’s Cedar and Algeria Investment Fund 51%. It is expected that the production capacity of the plant will gradually increase and reach in the coming year to about 2 million tonnes of steel, Sheikh Khalifa added. He expressed hope that this meeting would help reinforce cooperation relations among Qatari and Algerian businessmen to establish more joint venture.